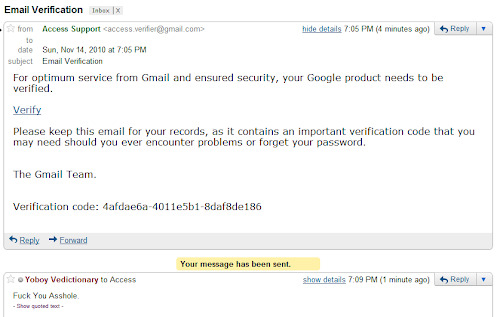 The email was sent by access.verifier@gmail.com, a GMail account. When you click on the 'Verify' link, this is where you will end up. 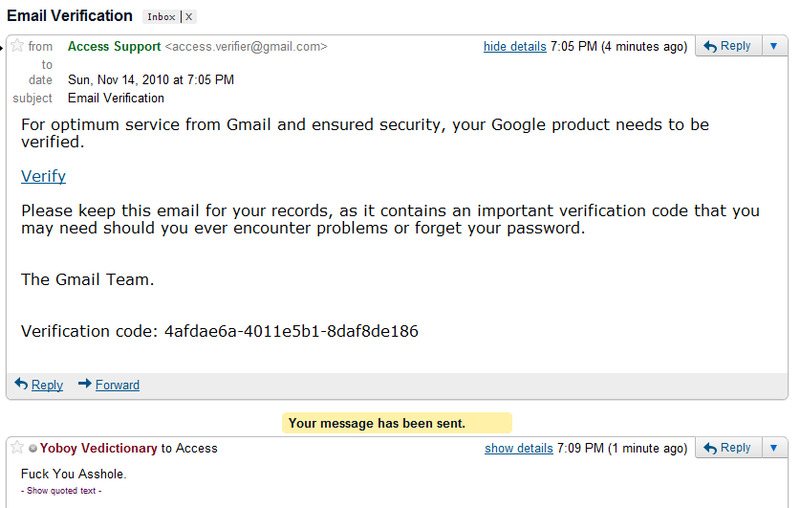 This page looks so convincing as if it is made by Google itself, except for one thing: its address. 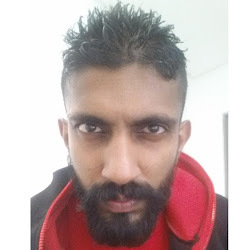 The address where this page is being hosted is so damn lame that it gave it away the moment I saw it. For safety reasons, I am not gonna reveal the address here. If you go on to fill in your information in this page, you're actually submitting your vital information to the person who sent this email to you in the first place (emphasize on 'person'). And that person will have access to your email from this point onwards. 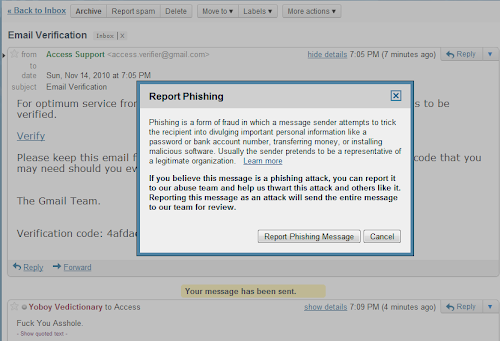 This is a perfect example of phishing emails. 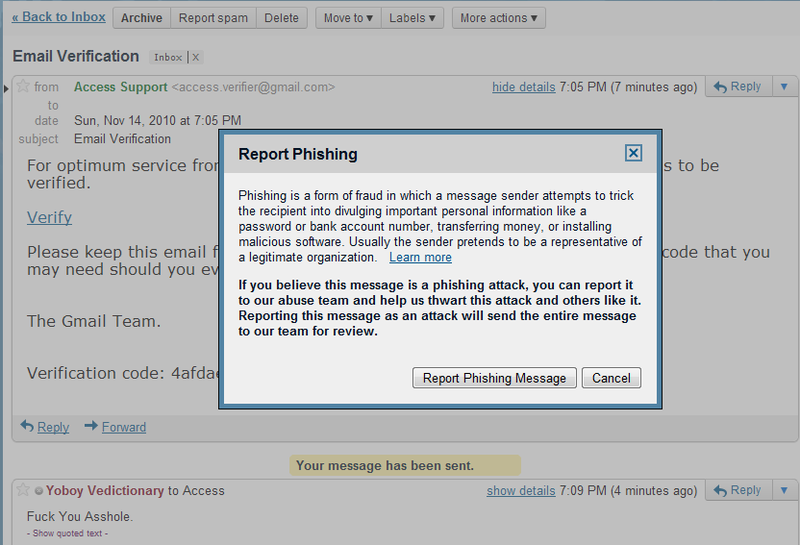 If you ever receive an email like this, report this email to Google by pressing the drop down menu next to 'Reply' (top right on the message box).